Minnesota is a long way from Africa, but Mark W. Nolting, who was born Minneapolis (then grew up and was educated in Florida), has spent more than 35 years exploring and researching the African continent. 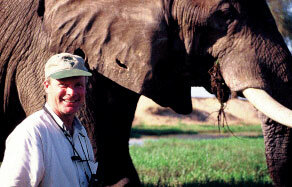 Known in the industry now as the “Travel Expert of Africa”, Nolting is the author of two award-winning books: Africa's Top Wildlife Countries (now in its 9th Edition) and African Safari Field Guide (now in its 7th Edition). In Africa's Top Wildlife Countries, Nolting chronicles every aspect of the safari experience for detailed planning of a trip to this fascinating continent. 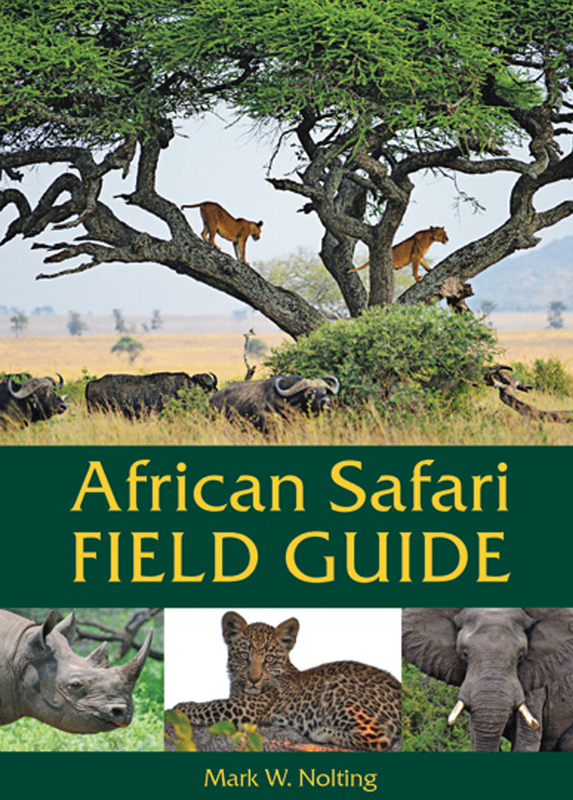 The African Safari Field Guide is the all-in-one book to take on safari, since it is a wildlife guide with color illustrations, maps, diary pages, and much more. Though he has essentially covered the African continent in his numerous journeys there, Nolting continues to travel to Africa yearly to update information and explore new areas. Hard to find information on Africa is always at his fingertips, and he loves to take the time to talk to people about the many adventures that can be found on the continent. Along with Nolting and his wife, the staff at The Africa Adventure Company offer the highest level of expertise for arranging low-impact and personalized travel to over 14 countries in Africa. 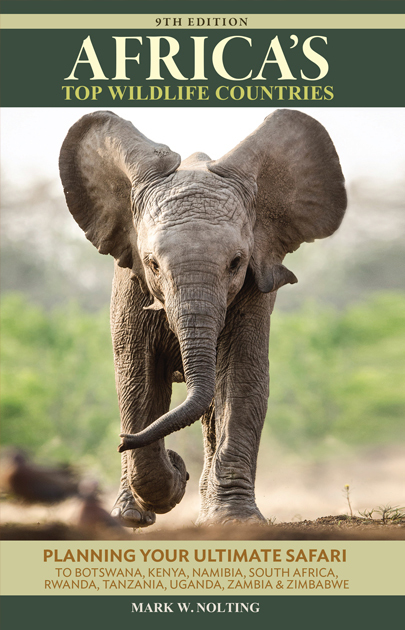 As they look to the future, the Africa Adventure Company will continue to do what it has done best! Focus on small groups and independent travelers, promote camps that are symbiotic with nature and the community, and offer exquisite game viewing with top notch guides. They look forward to the continuing tradition of “safari of a lifetime”! 1. Why should I go to Africa? 2. Is it safe to travel to Africa? 3. What kinds of safaris can I go on? 4. 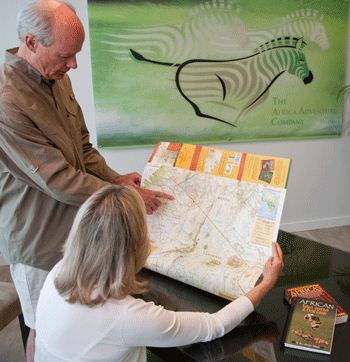 Is there a specific time of year that is best for going on a safari? 5. What should I do to prepare for a safari before I leave home? 6. What should I expect when going on an African safari? 7. Should I be nervous about disease-carrying insects and snakes when on an African safari? 8. Will there be a language barrier when I go on a safari? 9. Will I have to sleep in grass or mud huts? 10. What do I need to know before going on my first safari? Mark Nolting was named on the A-List 2017 for the 10th year in a row! Selected for his 14th year being selected as one of the Top African Travel Specialists by Conde Nast Traveler!